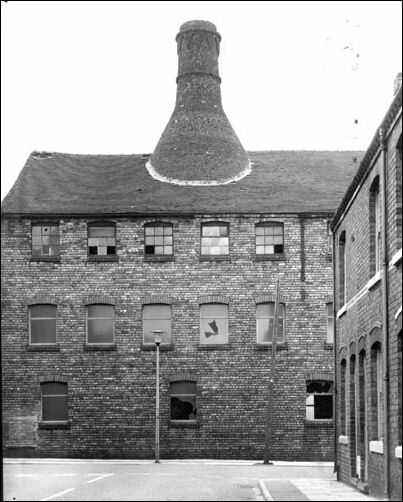 The Hines Brothers (Thomas and William) built this pottery in 1886 on the edge of the Glebe colliery in Gordon street which in the 1950's would be changed to Hines Street. 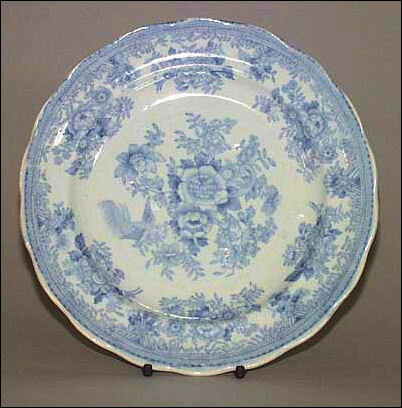 Good Quality 'Opaque Porcelain' and 'Ivory' ware was produced into the twentieth century. 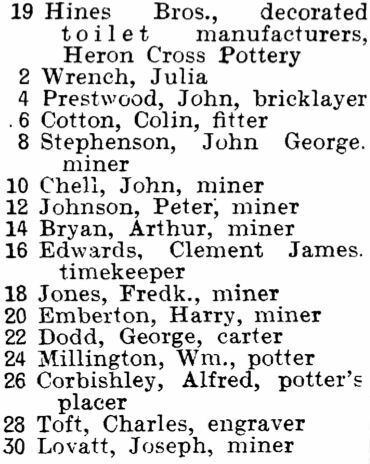 Around 1907 the company was purchased by Grimwades. 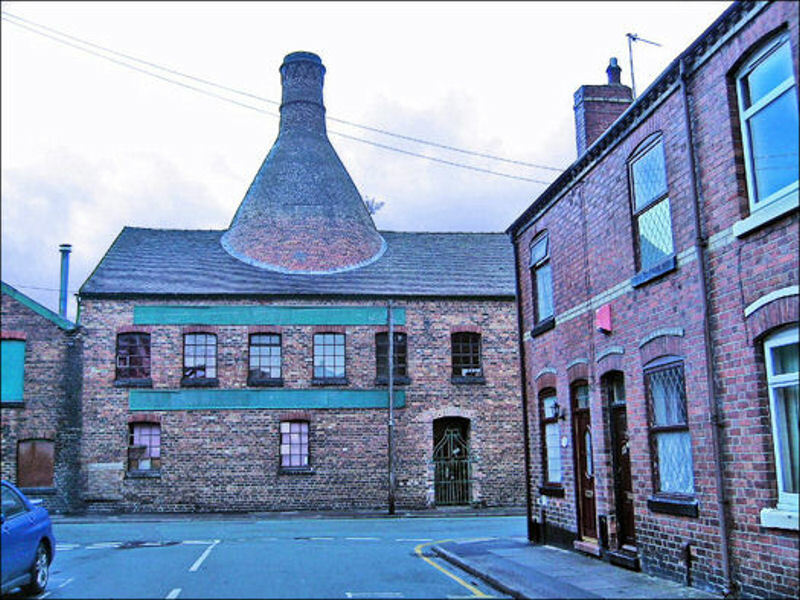 Pottery continued to be produced until just before the war, when it was requisitioned by the government and used for the storage of bully beef and land mines. 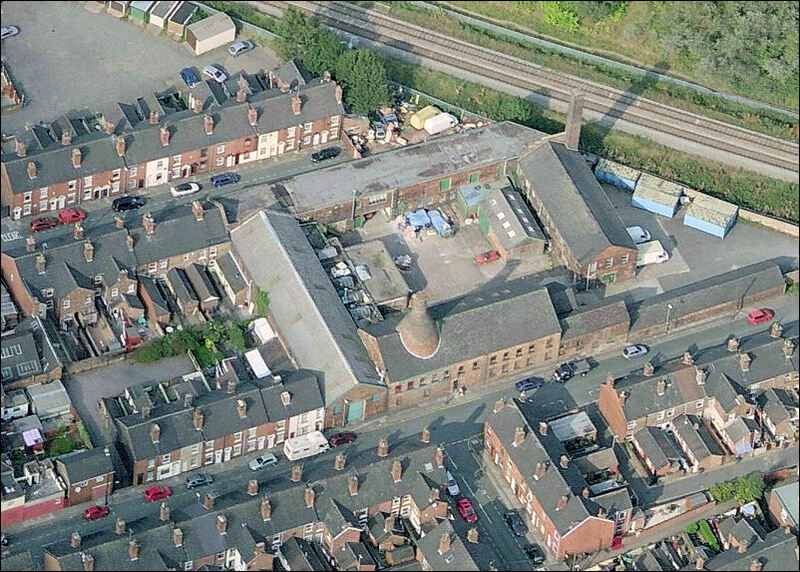 In 1961, the business was acquired by Frank William Ridge Snr, and it has stayed within the Ridge family ever since. 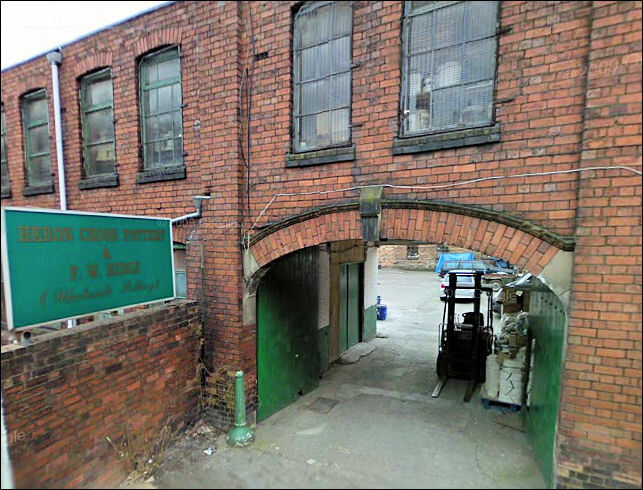 The current owner  is Christopher Ridge, who took control in 1995.
in acknowledgment of the Hine Brothers. 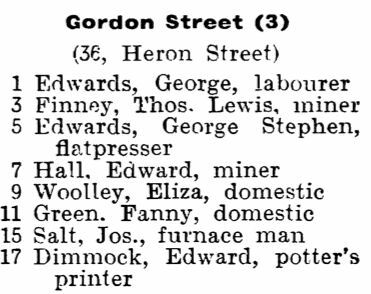 4 Prestwood, John, bricklayer . 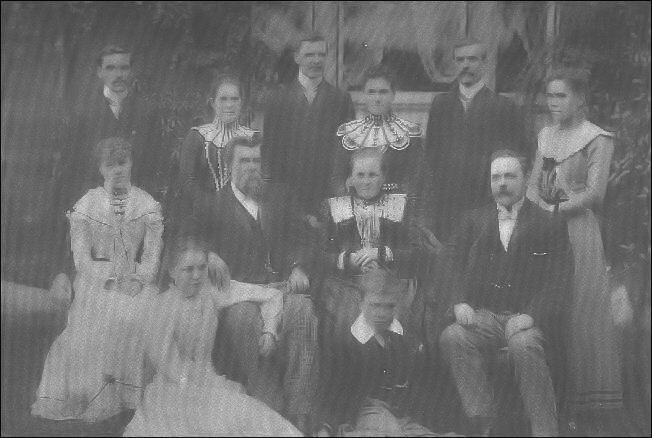 ten children outside their home Clyde Villa on Clyde St.
Thomas Hines is the old gentleman in the centre with the beard. 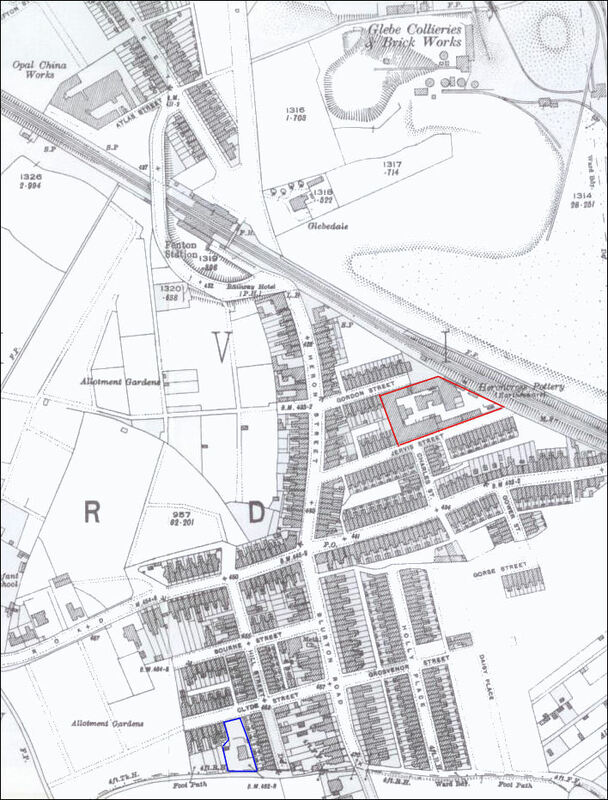 Grove Road, Heron Cross - Grove Road and the roads centring on Heron Cross crossroads are ancient pathways- it is not at all fanciful to speculate that a number of famous and early potters journeyed along the track which is today known as Whieldons Road, Grove Road and Duke Street. 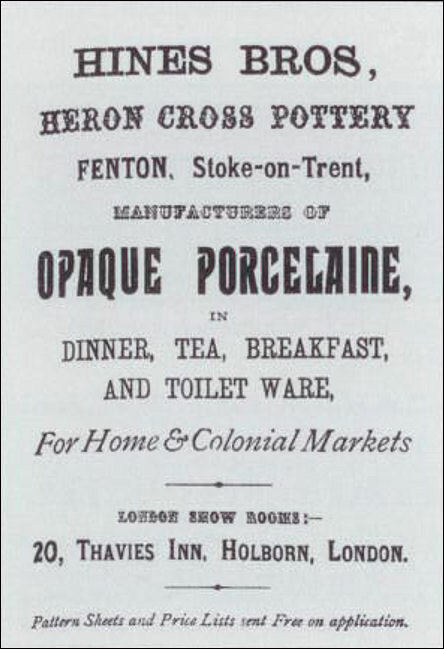 Today , Heron Cross Pottery continues to make fine English earthenware at the Hines Street site and also houses other innovative ceramic companies. 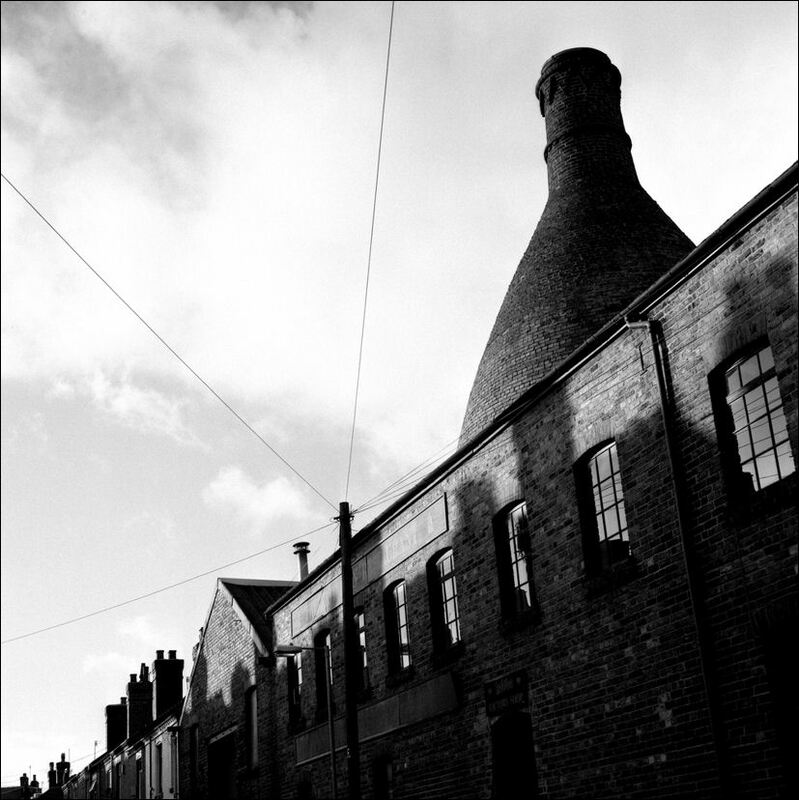 As a grade II listed building it boasts one of the few remaining bottle kilns in the city of Stoke on Trent.